It is highly unlikely a writer such as myself will ever get chosen for residency’s, top literary magazines, grants or prize winners. I am aware of this. Because I have a passion to write – to get the words inside of me out in a way that does justice to the message – I only care every now and then. Despite my magnanimity, the sad truth of the situation is that ‘establishment’ writers – those churned out through the classroom that produce contemporary ‘literature’ about the endless banality of experiences we all have (that is very different from experiences we relate to) that never rocks a boat, upsets an apple cart nor places cat’s among pigeons. We are witnessing the taming of literature. This capitalist act is far more pervasive than book banning, and more successful than anything George Orwell may have suggested in 1984. As technology gets more interesting, there is more threat to the reader of literature (not reader – reader of literature) and nothing pours oil over waves like tying wages to the outcome of novels. All those people in the literary “industry” have to be kept in jobs after all. My mention of this is in passing only. 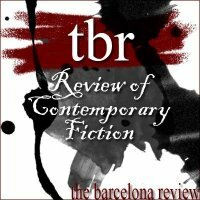 I wanted mostly to draw attention to this excellent article written by Anis Shivani for the Barcelona Review. Shivani says it better than I can – it’s a magnificent read. Wishing you all the success you deserve! Thank you so much for your compliments and well wishes. I’ve just about completed 1Q84 and it is everything that you say above, so I don’t think you are far wrong. You are the second person who has told me about ‘the other Murakami’ and I have organised myself some copies! I hear tell this will not disappoint. And you’ll find more about Murakami’s novel here – echoing your thoughts! Really worth checking this one out.